Crabtree Gardens, LLC is a 5 acre property and private garden located in a residential/agricultural area in the scenic village of Drums, PA. This picturesque country setting allows a panoramic view of Butler Mountain to the south. Wildlife diversity reigns here as an effect of our eco-friendly management practices which promote an abundance of butterflies, birds and mammals common to the area. The spring of 2018 marks our property as a 10-year work-in-progress as we continue to expand our planting areas and vignette settings. 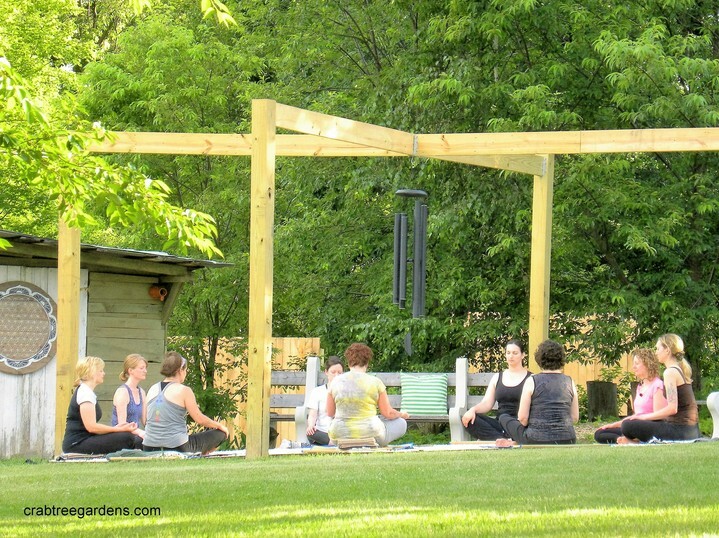 The garden serves as inspiration for writing and photos as well as nature-based rejuvenation. Our meditation areas include: Mindfulness Circle and Chime Tower, Easter Island and the multi-tiered decks (once popular for yoga practices). Our barn studio is a cozy heated room used for our private gatherings in inclement weather. Because of the beauty of our natural surroundings here, WBRE-TV dubbed us as "Luzerne County's best kept secret" while promoting a yoga-thon organized by The Lil Yoga Barn in 2013. We are honored to have been noticed as such. 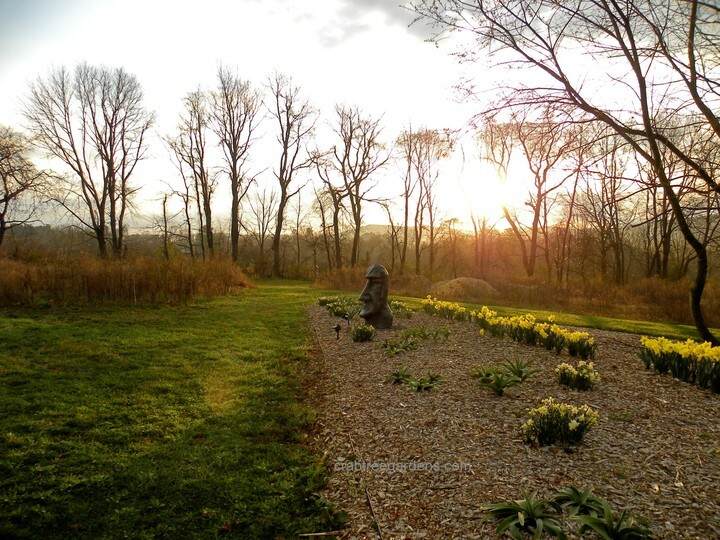 Daffodils and the early morning sunrise create a beautiful scene on our remote private island which was inspired by Easter Island. The scene will be taken over by spheres of ornamental onions (Alliums) in late May, June and July. Photo taken on Easter morning 2017. 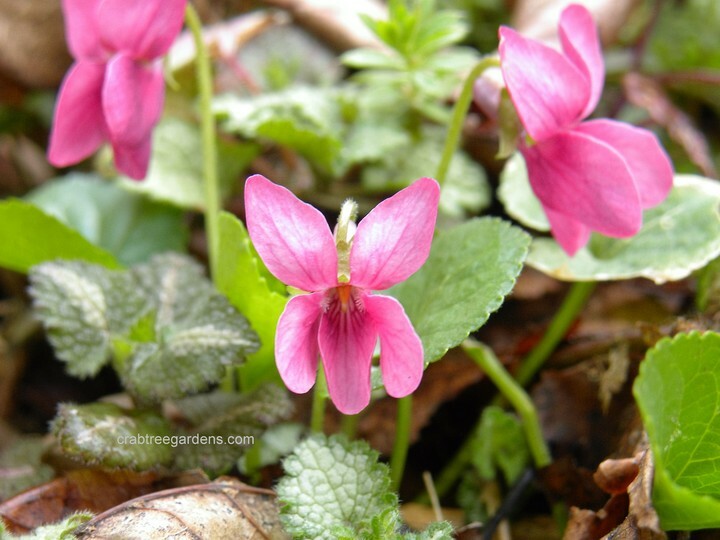 Content and photos on this website copyright Crabtree Gardens, LLC 2019 Unauthorized use of photos and content is prohibited.